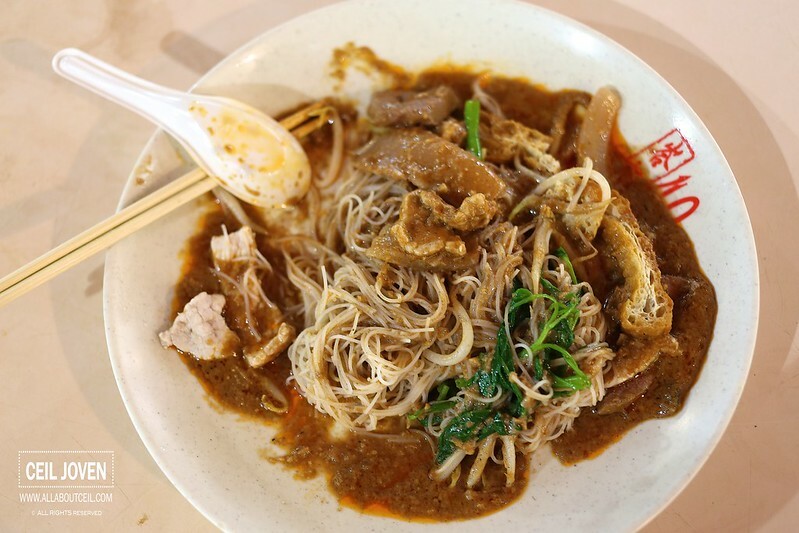 I have heard about this Satay Bee Hoon, some even claimed that this is one of the better ones if it is not the best Satay Bee Hoon. It was closed during my first visit and i came back this time purposely and hoping to taste it. I was there for an early dinner, there were just another 2 customers right in front of me, the waiting time was a short one. 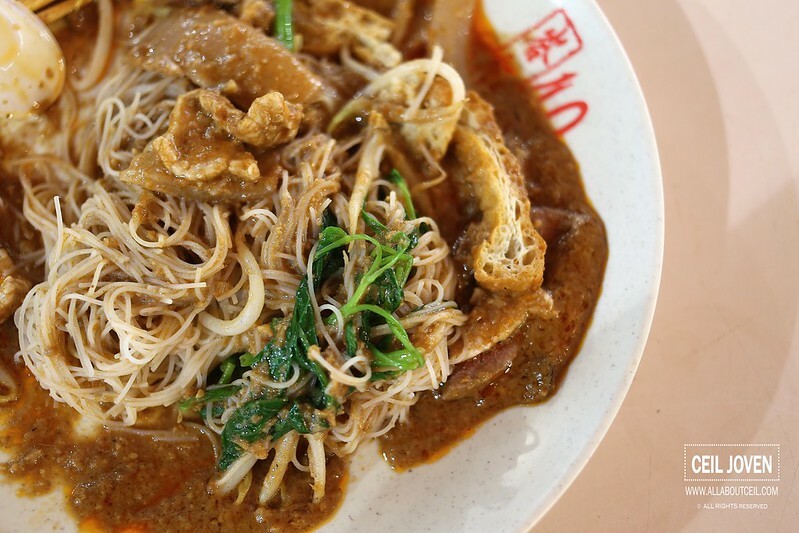 The Satay Bee Hoon is available at $3 per portion. 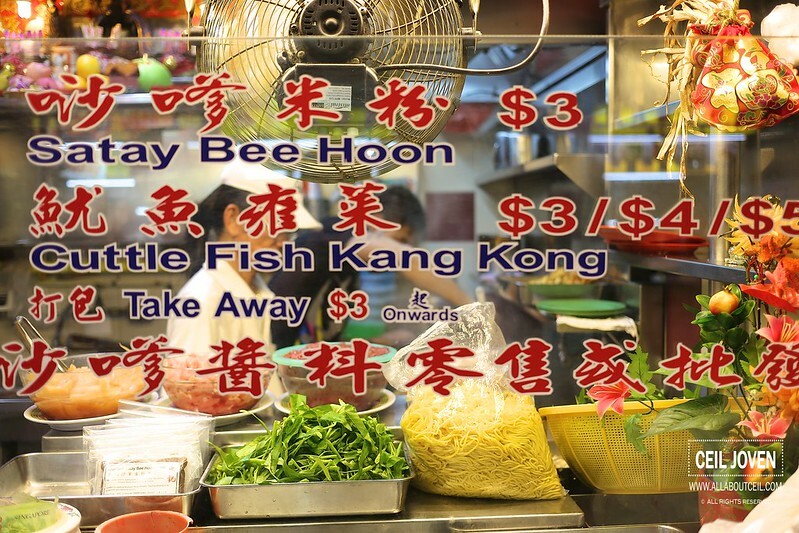 I heard their Cuttle Fish Kang Kong is another popular dish at $3, $4 and the largest portion at $4. 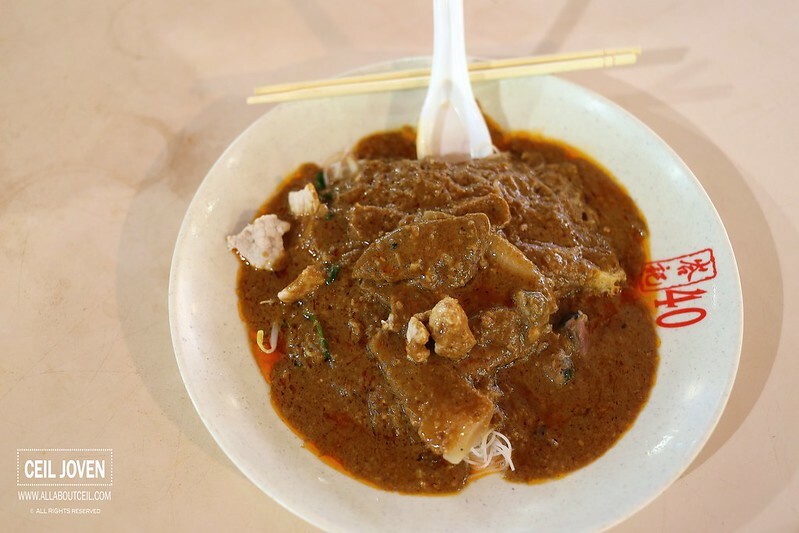 I decided to go with just the Satay Bee Hoon and that leaves me something to look forward to come back the next time. 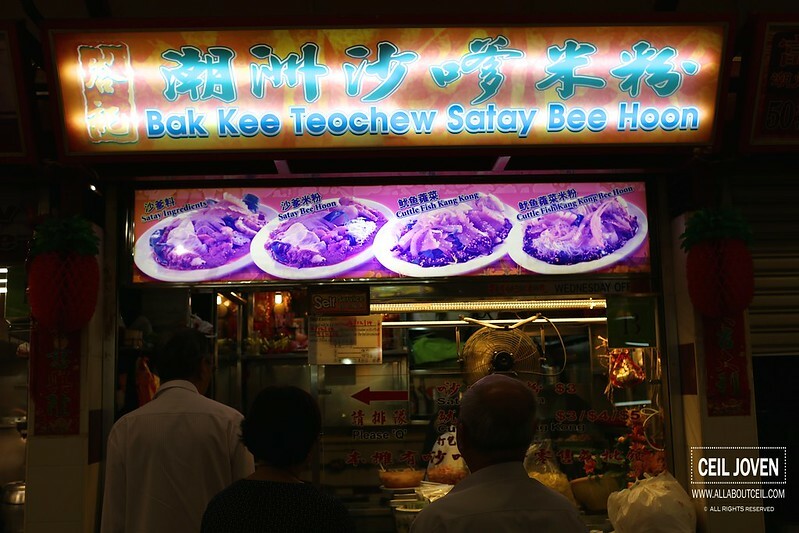 It has clearly stated on their signboard that they serve the Teochew style Satay Bee Hoon, though i could not quite differentiate the clear difference but this is one of the few that included pork's liver as part of their ingredients. The bee hoon and ingredients were cooked just right to give it the perfect texture and i particularly liked the pork's liver. The fresh tasting ingredients used were slices of lean meat, pork's liver and tau pok together with cuttle fish and cockles with a few leafy greens added. The peanut sauce has got a noticeable nutty fragrance with bits of chunky peanuts to give it a rather rich and thick texture. It tasted particularly good when mixed it well with the bee hoon. This is a must-try stall if you happen to be here, it is worth waiting even if you have to queue for it.